In addition to our 7-night and 5-night "classic" race week tours featuring guaranteed race entry access into Challenge Roth’s individual race or relay, we offer an exclusive 7-night finish line tour featuring 4-star accommodations at the new hotel in Roth. 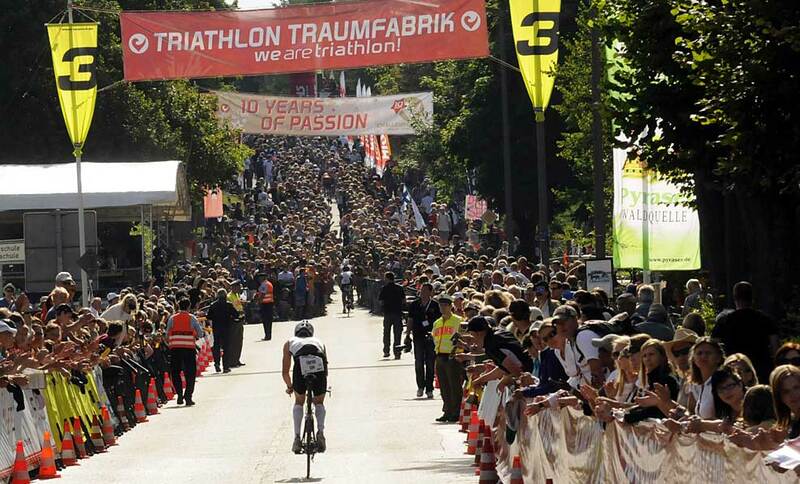 Paired with our tour services and amenities, this is truly the ultimate way to race and spectate at Challenge Roth! Our 7-night tour includes a welcome dinner party on Wednesday evening in Roth to tour and meet Challenge Roth CEO, Felix Walchshofer and some of the pro athletes.